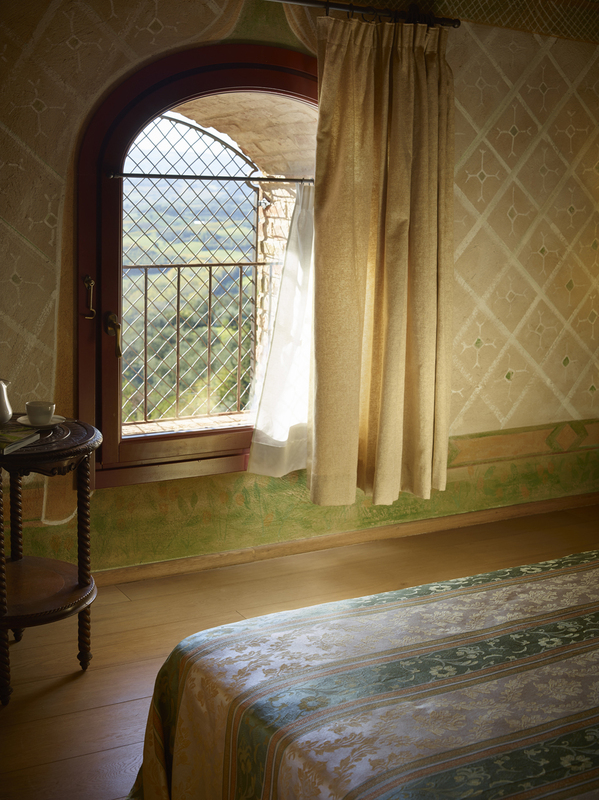 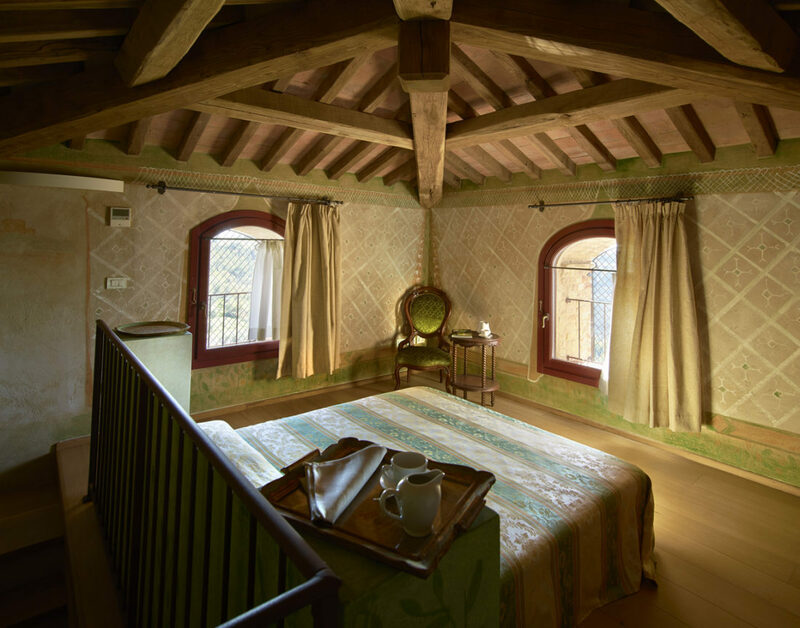 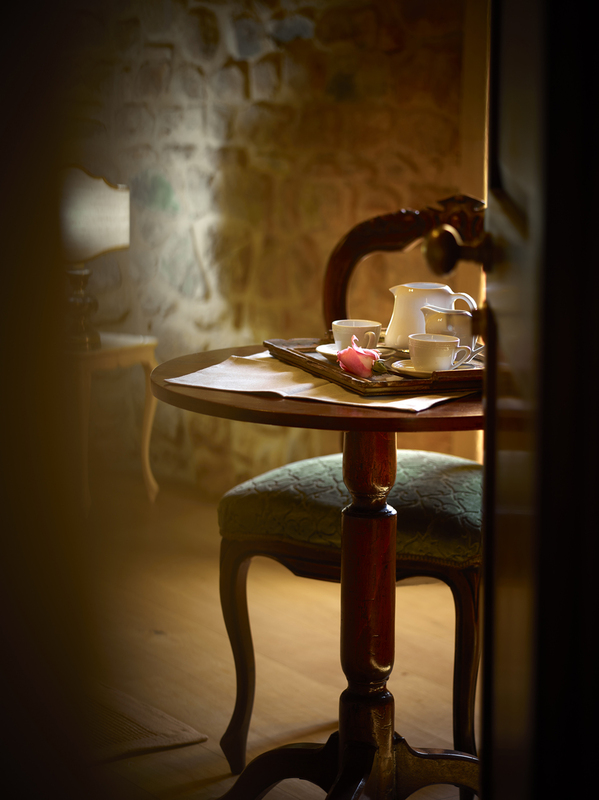 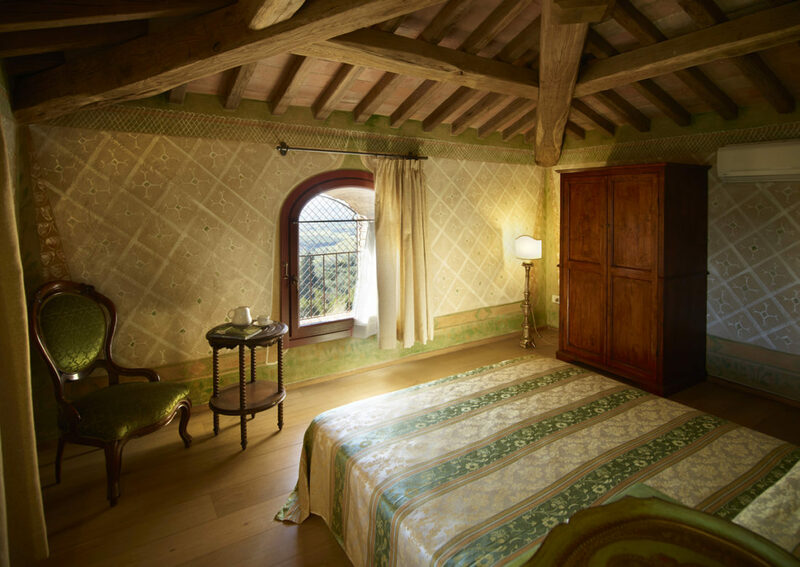 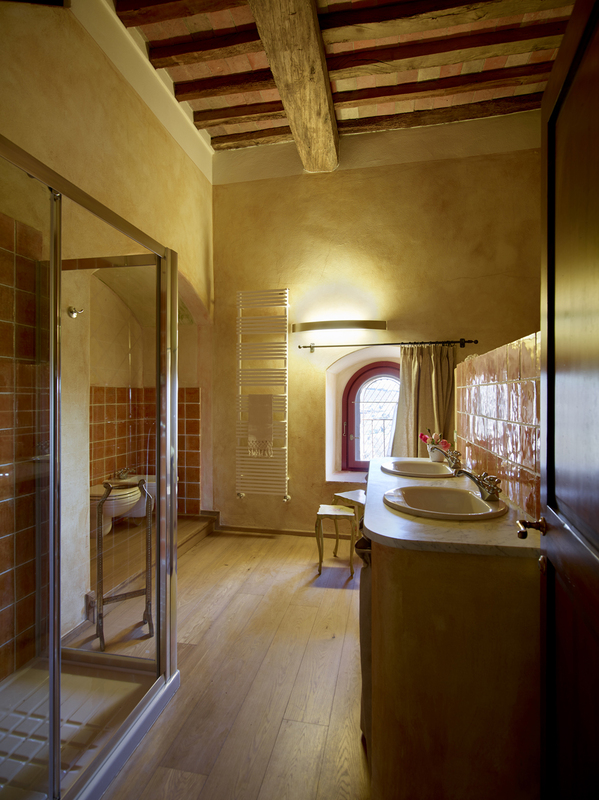 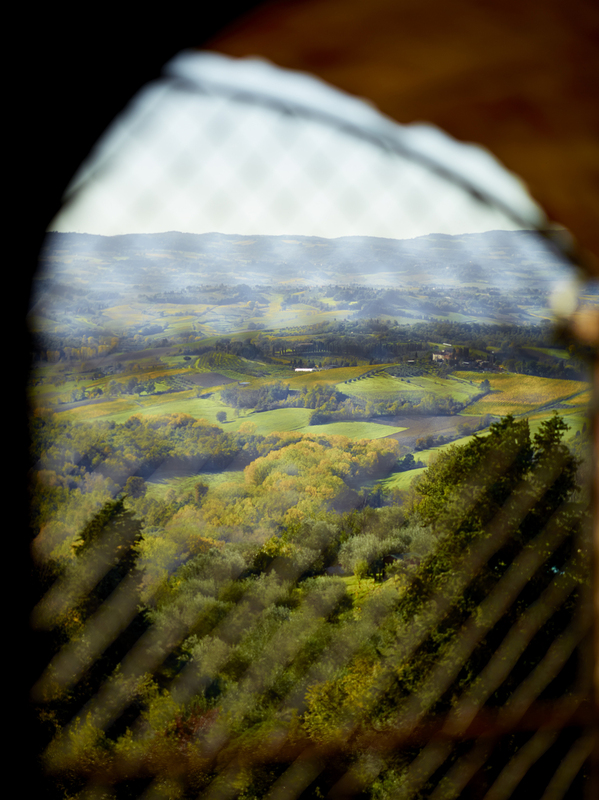 Double room, located in the medieval tower, the first settlement of the Borgo Petrognano dating back to 1170, is an ancient watchtower of the missing city of Semifonte from where you could check both the Florentine and Sienese sides. 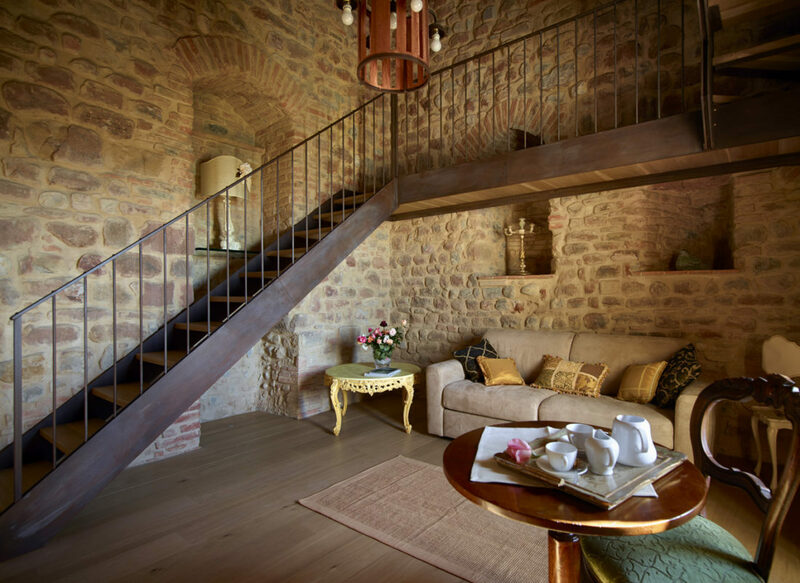 The whole room with stone walls is on three levels. 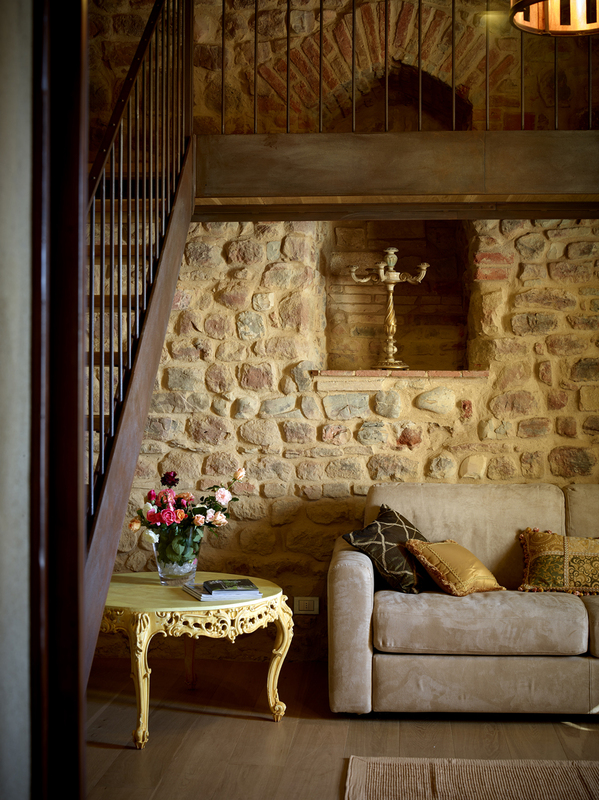 On the first floor there is a living room with a double sofa bed. 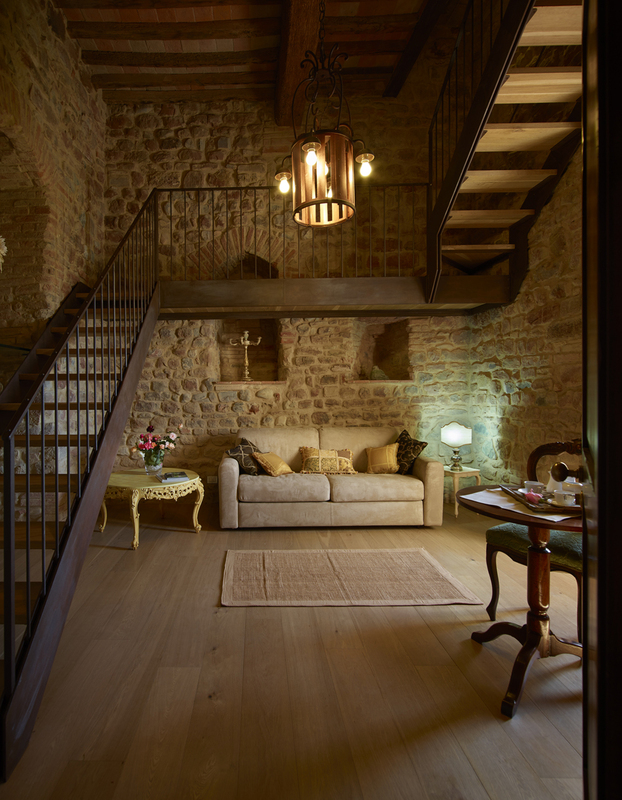 Through a beautiful wooden staircase you reach the second floor where there is a large bathroom and finally the third floor where there is the master bedroom and from where you can enjoy a breathtaking view of the hills of Tuscany, on the towers of San Gimignano and up to the Apennine mountains.